This tutorial is designed for you to obtain a better understanding of the DJI Remote Logger Tool. It will teach you how to use it for showing application log messages on a simple webpage. You can connect your iOS device and Mac to the same WiFi network or connect to a local wireless connection created on your Mac too. This would be helpful when you test your application outside without internet connection. 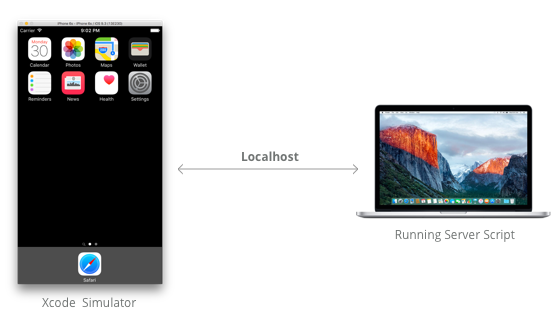 If you don't have iOS device, you can use your Xcode Simulator too. Using the url string like http://localhost:4567 can work well with the server script. After installing it, try ./run_log_server.bash command again. Problem should be solved. Run this command: sudo brew install ruby, after installing ruby successfully, try ./run_log_server.bash command again. Problem should be solved. For other issues, please check the two problems above. If you are not familiar with the process of installing DJI SDK in your Xcode project, please check the Github source code and this tutorial: Importing and Activating DJI SDK in Xcode Project for details. Note: If you don't know how to apply as a DJI developer and get the App Key, please refer to the Get Started. The delegate method above gets called when the app is registered. If the registration is successful, we can call the +(void) enableRemoteLoggingWithDeviceID: (NSString * _Nullable) deviceID logServerURLString: (NSString*) url; class method of DJISDKManager to enable remote logging feature of the SDK by passing the deviceID parameter and url parameter, which you can get from the server script command line. 1. The deviceID is used to distinguish different iOS devices. 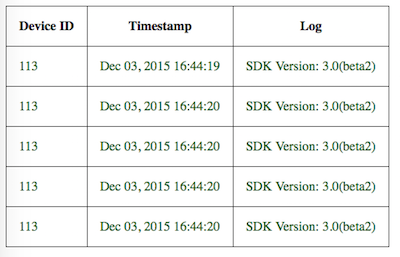 You can show log messages from different iOS devices on the same webpage. Furthermore, the DJI Remote Logger Tool supports multiple iOS devices logging, you can assign different Device IDs for different iOS devices in the +(void)enableRemoteLoggingWithDeviceID:logServerURLString: class method of DJISDKManager. Also you can use url content filter for specific device's log like this: http://10.81.9.167:4567/?filter=113. Congratulations! 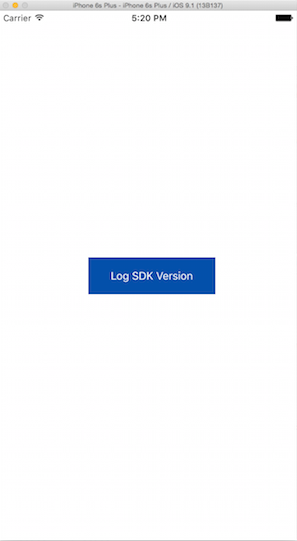 You've learned how to use DJI Remote Logger Tool to show log messages of your application using DJI Mobile SDK. 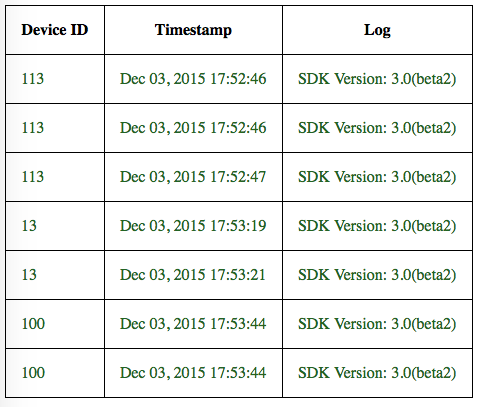 With DJI Remote Logger Tool, you can developer and debug your application with DJI Mobile SDK more efficiently. Hope you enjoy this tutorial, Thanks!